Arrow Bamboo is great for use near walkways or driveways. 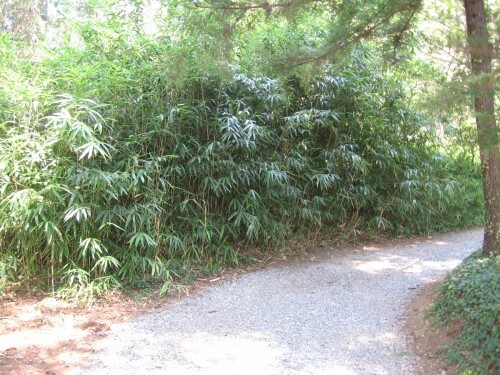 Its erect growth habit keeps it from leaning into and blocking paths. Picture is from the Biltmore Estate, Asheville, NC.